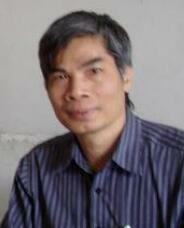 Biography: Nguyen Quang Liem is a professor of physics since 2011. He is Director and Senior Researcher of Institute of Materials Science (IMS), Vietnam Academy of Science and Technology (VAST) since 2009. He received PhD degree from Inst of Physics, National Centre for Natural Science and Technology in 1995. He has rich experience in Optoelectronic materials and have published more than 100 papers on international journals. His research interests are in Optoelectronic materials (film and quantum dots/nanocrystals) and devices (Luminescent materials for Light Emitting Diode and for Biolabeling/sensors, Photocatalysts for Photo-reactivity and for Photoreactor), Development of scientific instruments and spectroscopic measuring techniques, especially some related ones like Raman scattering and photoluminescence spectroscopy enhanced with surface plasmon resonance for fast/non-destructive and sensitive analysis/detection of residual pesticides, chemical radicals, Characterizations of the ancient art/cultural products. He is the Vice-President of the Vietnam Physical Society. He is a member of the Association of Asia Pacific Physical Societies (AAPPS) Council, an Editorial board member of Adv. Nat. Sci. : Nanosci. Nanotechnol (IOP Publishing), Heliyon (Elsevier), and of Journal of Science: Advanced Materials and Devices (Elsevier). He is Focal point of Vietnam in the Sub-Commi on Materials Science and Technolgy (SCMST) of the ASEAN Committee of Science and Technology (ASEAN COST). Abstract: We report the promising applications of modern analysis techniques to analyse the elements, structural phases, body sintering- and glazing temperatures of ancient pottery objects. Various techniques were used to acquisite and analyse the data such as X-ray fluorescence, Raman scattering spectroscopy, Scanning electron microsopy, X-ray diffraction, and thermal expansion measurement. Based on the obtained data we can search back the raw materials sources and determine the technology used to produce ancient art ceramics, namely stonewares, procelains and celadons. Samples used in the study were provided from the National Museum of Vietnam History. Biography: Dr Zongjin LI is Chair professor of Institute of Applied Physics and Materials Engineering at University of Macau (UM). He joined UM after his service at The Hong Kong University of Science and Technology from 1994 to 2016. He received his B.E. from Zhejiang University, Hangzhou, China in 1982 and obtained both his M.S. and PhD from Northwestern University, Chicago, U.S.A, in 1990 in 1993, respectively. He is a fellow of American Concrete Institute and a registered professional engineer in Hong Kong, China. He is a member of committees of ISO/TC71, First vice Chair of China Group of RILEM and Founding President of ACI China Chapter. He has done extensive researches in the area of cement-based materials and non-destructive evaluations. As the chief scientist, he has led a China Key National Basic Research Project (973), ‘Basic study on environmentally friendly contemporary concrete’, which has made a great contributions to advance concrete technology in China. As the founding chair of Gordon Research Conference, ‘‘Advanced Materials for Sustainable Infrastructure Development’ in 2014, he has brought the research conference of building materials into a higher scientific level. He has published 5 technical books, in which ‘Advanced Concrete Technology’ published by John Wiley has been collected by many national libraries and most major university libraries and used by many universities as text or reference books for civil engineering. He has also published more than 400 technical papers with a SCI H-index of 39 and Scopus H-index of 43. In 2016, he has been selected as the one of the 150 most cited authors in Civil engineering field. He has also been awarded five US and seven Chinese patents. Three of his patents have been developed into commercial products. Abstract: Recently, it becomes popular to achieve enhanced mechanical properties of cement-based materials through incorporation of nano particles. In this presentation, advanced cement-based materials through application of nanotechnology will be introduced. One example is to use cement to generate 5 nm nanoparticles which is utilized to enhance the mechanical properties of hydrogel. By adding 5-nm inorganic particles in organic matrix, hydrogels with the best all-round performance in the world has been successfully developed in aspects of strength, elastic recovery and ultimate stretch ratio. Also, by adding organic or inorganic nano particles into cement based materials, the flexural strength of the cement-based materials increased significantly. For cement paste, bending strength is increased by three times without lowing the compressive strength. Moreover, with newly developed inorganic-organic integrated nano particles, the hydration heat of cement-based materials can be reduced and their toughness will be improved without degrade their compressive properties. Finally, the high modulus concrete developed through the addition of nano particles will be introduced on its optimization in materials formulation, dimension stability behavior and structural performance. Biography: Professor Ildoo Chung joined the faculty of Department of Polymer Science and Engineering at Pusan National University, Korea in 2005. Prior to that, he completed his postdoctoral training with Professor Jimmy Mays in Department of Chemistry at University of Tennessee, and with Professor Dong Xie in Department of Biomedical Engineering at University of Alabama at Birmingham, USA. He received his Ph. D. at Pusan National University in 2000. He is now serving editor-in-chief of Journal of Adhesion and Interface, and member of board of directors in the Polymer Society of Korea, the Korea Society of Adhesion and Interface, Korea Polyurethane Society, and Asian Cyclodextrin Conference. He had over 70 peer-reviewed publications and over 150 presentations in national and international conferences. His research interests are focused on polymer synthesis such as atom transfer radical polymerization (ATRP), radical addition-fragmentation transfer (RAFT) polymerization and advanced polymeric biomaterials such as drug delivery system, hard/soft tissue compatible polymers, photocurable 3D printing polymer, biodegradable polymer and composite system. Abstract: Porous biodegradable microspheres were fabricated by successful RAFT polymerization of methyl vinyl ketone onto polycaprolactone and polylactide followed by an oil/water emulsion-evaporation method, then finally photodegradation of PMVK blocks by UV irradiation. Macro-CTA (chain transfer agent) was synthesized by reacting carboxylic acid terminated CTA, S-1-dodecyl-S’-(a,a’-dimethyl-a’’-acetic acid) trithiocarbonate (DDMAT) with hydroxyl terminated polycaprolactone, which was then used for the synthesis of triblock copolymer with methyl vinyl ketone (MVK). The synthesized triblock copolymers were characterized by FT-IR, 1H NMR spectroscopies. Gel permeation chromatography (GPC) was used to evaluate the molecular weight and molecular weight distribution and monitored the photodegradability of the block copolymers. The morphology of microspheres was spherical with smooth surfaces before UV irradiation. However, those from PCL-PMVK triblock copolymers had rough surfaces and porous structures after UV irradiation due to the photodegradation of PMVK blocks as a porous template. The porosity and shape of the microspheres and shape of microspheres were dependent on the PMVK contents and size of microspheres.